I’ve been officially dizzy for two weeks, 14 days. Today marks the end of my last seasick patch. I’m afraid to peel it off. What if it’s keeping me upright? To tell you the truth, I’m skeptical of prescription drugs. I know the patches help, but they also make my vision blurry. I’m hoping I’ll soon be seeing clearly. A friend offered a homeopathic cure for congestion, Organic Apple Cider Vinegar. It has a mysterious clouded not homogenized look to it, and then, there’s the label. Printed at the bottom it says, With The ‘Mother’. According to the bottle “The Mother” is connected strand-like chains of protein enzyme molecules and is highly regarded throughout history. In other words, the sludge at the bottom of the bottle is “The Mother.” Shake vigorously, and take a slug. “It’s supposed to be good for whatever ails you. 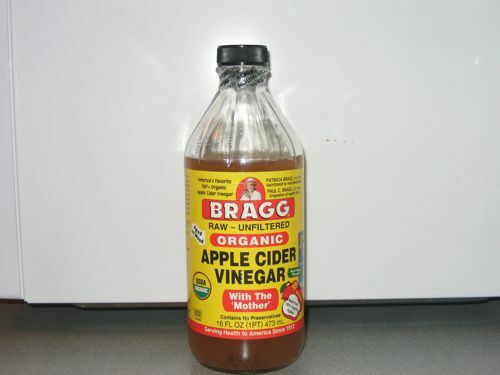 Says so on the bottle.” I read, Many medical studies show the health benefits of Apple Cider Vinegar. In 400 B.C. Hippocrates, the Father of Medicine, used it for its amazing natural cleansing, healing, and engergizing health qualities. Bacon opened the bottle and took a slug. “Whisky River take my mind.” Bacon is know to sing in loud random outbursts, Willie Nelson songs not excluded. He took a deep breath, trying to re-inflate his lungs. A sip of “The Mother” can knock the wind out of you. He handed me the bottle. I cringed. Like tequila shots from another place and time, I sucked it down. This stuff burns like liquid fire from your lips all the way down your throat until it hits your stomach with a plop. If I were inclined to drink Jack Daniels, (I’m not by the way) it would be smoother than the contents of this bottle. Bacon is convinced it’s alcoholic. I couldn’t find any evidence on the label. Jalapeno peppers are more subtle. I’m not sure if “The Mother” works or not. The idea of taking it is so bad that I’ll get well, so I won’t have to swig anymore.